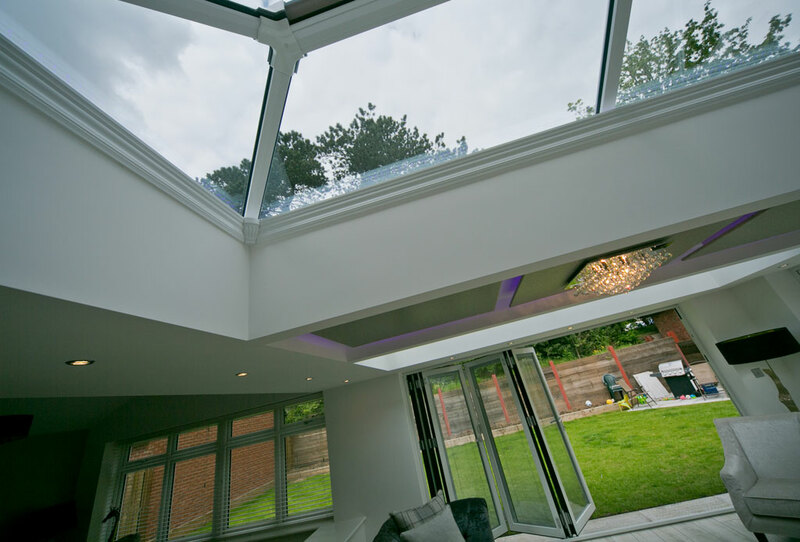 The UltraSKY roof lantern can be installed into new Orangeries or used to completely transform an existing flat roof, adding the feeling of space and natural light to your home. 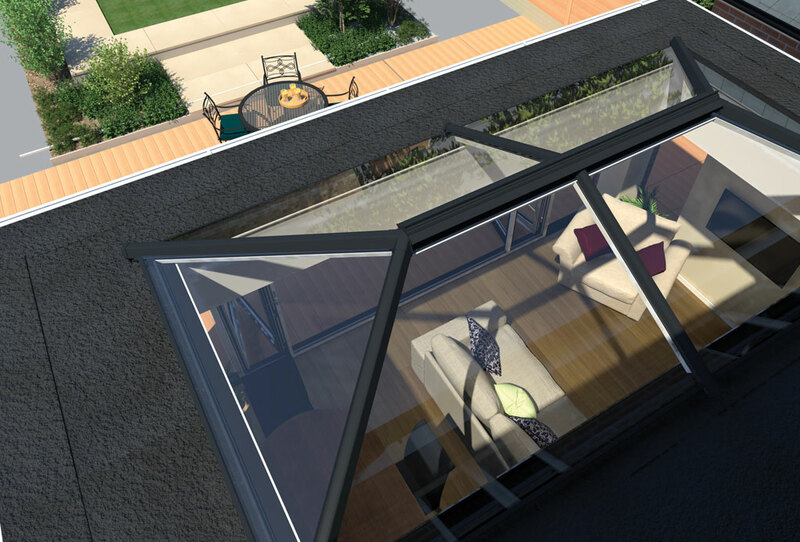 The unique property of the UltraSKY, as opposed to a regular lantern roof, is that it is designed around maximum uninterrupted sight lines �' bar numbers are reduced and the ridge board and hub ends are as unobtrusive as possible. 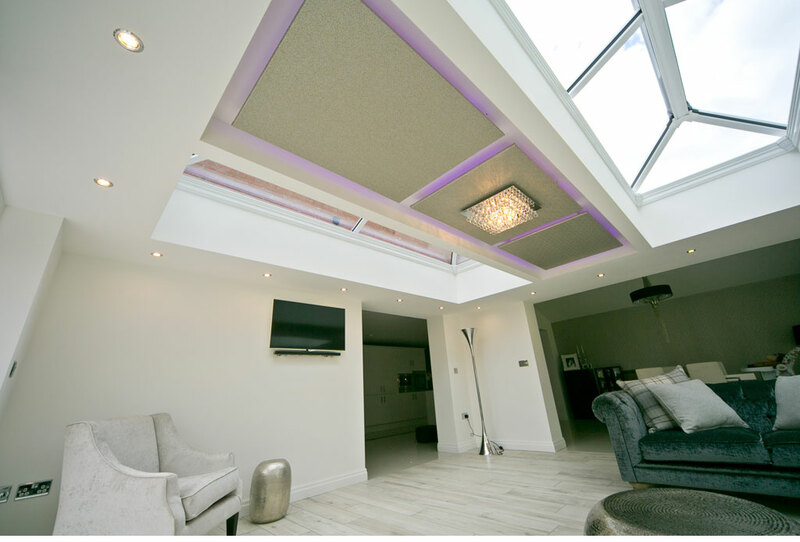 The result is a modern, sharp, chic focal point for your roof, which allows natural light to pour through it. 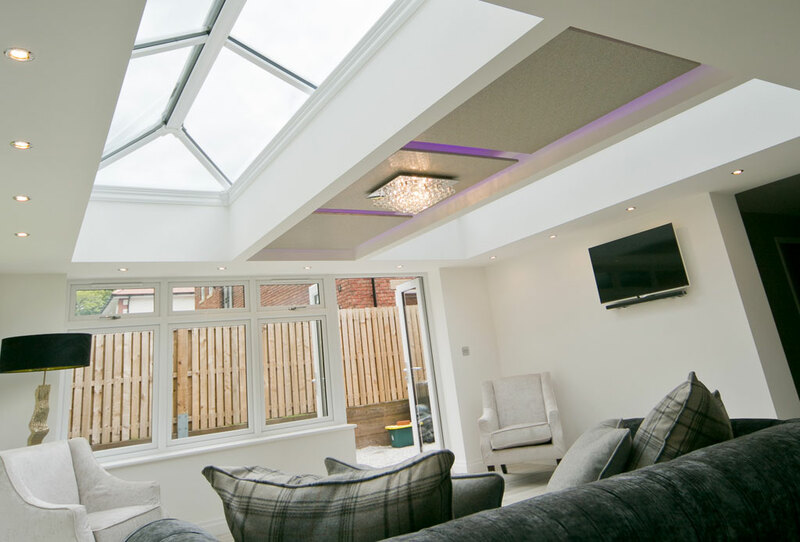 Available in a range of sizes, the UltraSKY can also be manufactured in White UPVC or White, Grey or Black Aluminium, allowing you to choose a style to suit your home. 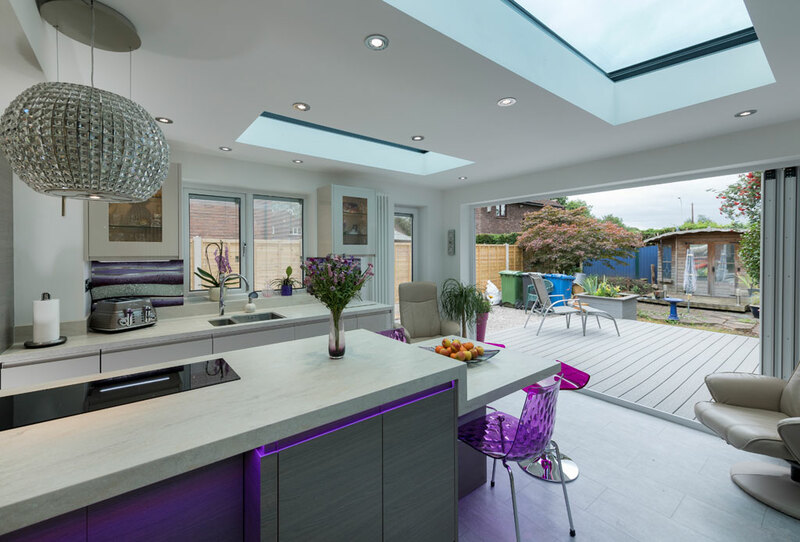 The Clearview rooflight is a flat fixed rooflight system providing maximum daylight with minimal framework; a sleek and truly contemporary design, to be incorporated into new build extensions, or used to revolutionize an existing flat roof. 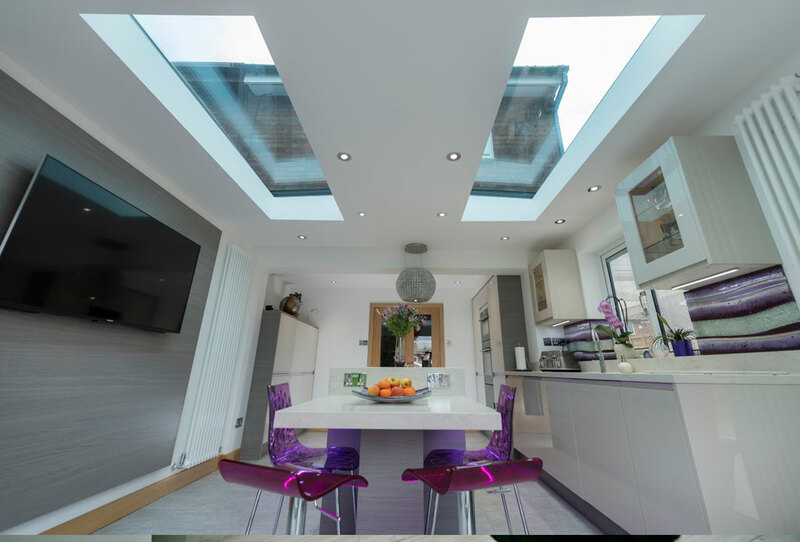 Simply by installing a Clearview rooflight, an existing dark and uninspiring flat roof extension could be completely transformed into a bright, light area that you will enjoy all year round. Underneath a low profile external cover lies a fully insulated main frame to ensure the aluminium is kept warm, limiting the risk of condensation forming. 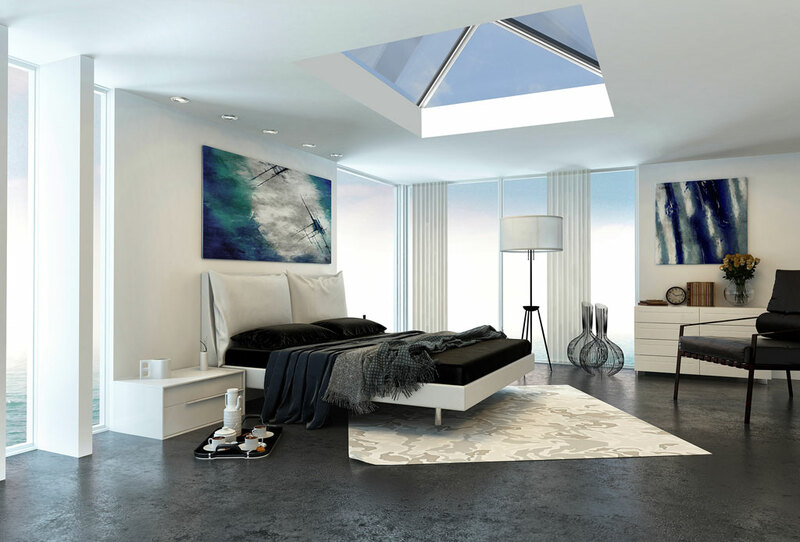 High performance triple glazed units are 44mm thick, achieving a low U-Value of 0.6, meaning the Cleaview Skylight has superb thermal efficiency, keeping your room warm in winter. 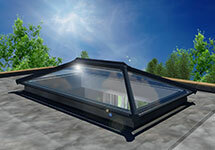 The Clearview Skylight is available in any bespoke size up to a maximum glazed area of 2.4m(squared) and is simple to install. Bespoke sizes from 1m x 1.5m to 2m x 4m. Hipped roof design Aluminium or PVC external cladding. 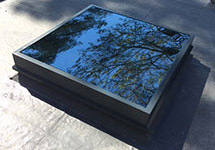 Self cleaning, solar control glass. Bespoke sizes and colours available. 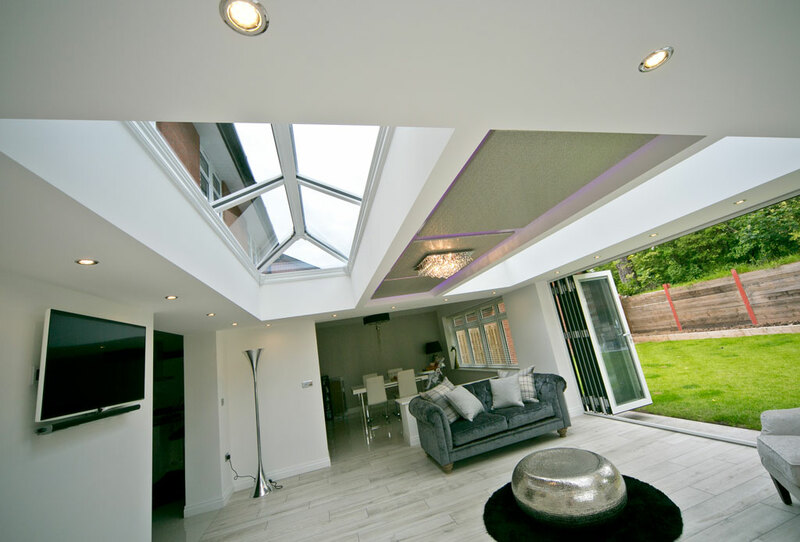 "It has been a real pleasure to work with Croston Conservatories. All of people we have dealt with, from sales through to planning and construction have been excellent. All the workmen involved in the construction process were professional, courteous, hard-working and decent people to deal with. The people back in the office have been just the same. We are absolutely delighted with the end result, it looks a top quality job and we are already making good use of our new “haven”. "